This is another perfectly realised slice of the lives of Ellie, Magda and Nadine, stars of Wilson's 'Girls' series. 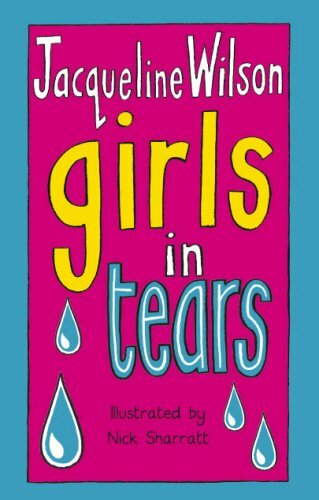 Teenagers' lives, as Wilson understands better than anyone, are filled with tragedy and certainly the girls here are often in floods of tears (narrator Ellie in particular). Reasons vary - betrayal by boyfriend, death of a pet hamster, potential break-up of parents' marriage. If a sense of scale is not the girls' strong point, Wilson carries out her usual deft balancing act, imperceptibly giving weight to the really important issues while acknowledging the effect of a friend saying something mean. By the end of the book, the girls have grown up a little and learned something about themselves - and so probably has the reader. Wilson knows too just how much wish-fulfilment to mix in with the true to life, granting Ellie a special talent as well as her happy ending - it's immensely satisfying. Loving Jacqueline Wilson is... never being disappointed.